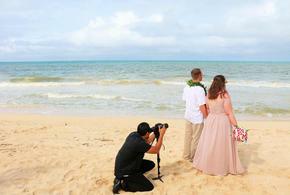 ​This beautiful wedding style incorporates Christian values . 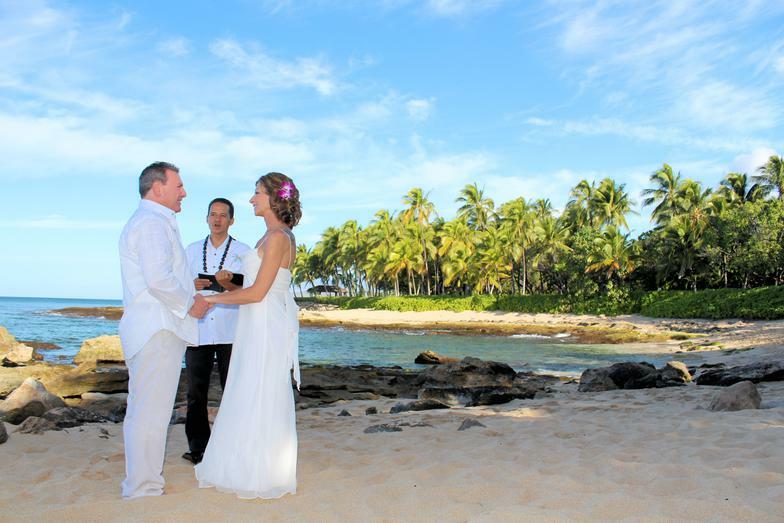 The Hawaiian Christian wedding incorporates Hawaiian prayer and blessings. 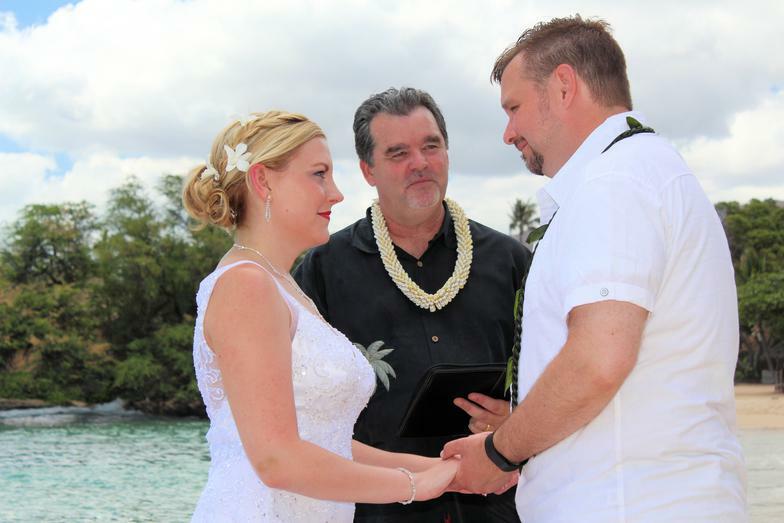 A beautiful vow renewal ceremony, of which you may choose either the traditional Christian or Hawaiian Christian with English and Hawaiian prayers. ​This is a beautiful and popular addition which will enhance your wedding experience. . 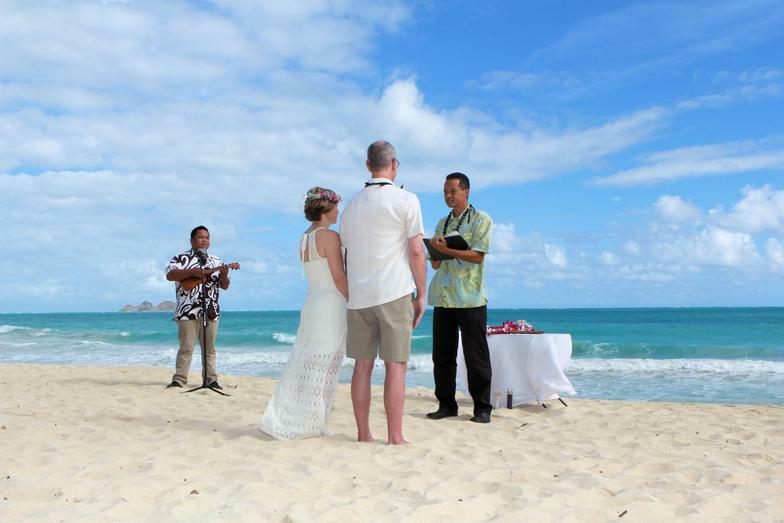 The sand ceremony symbolizes the joining of your two lives into one. 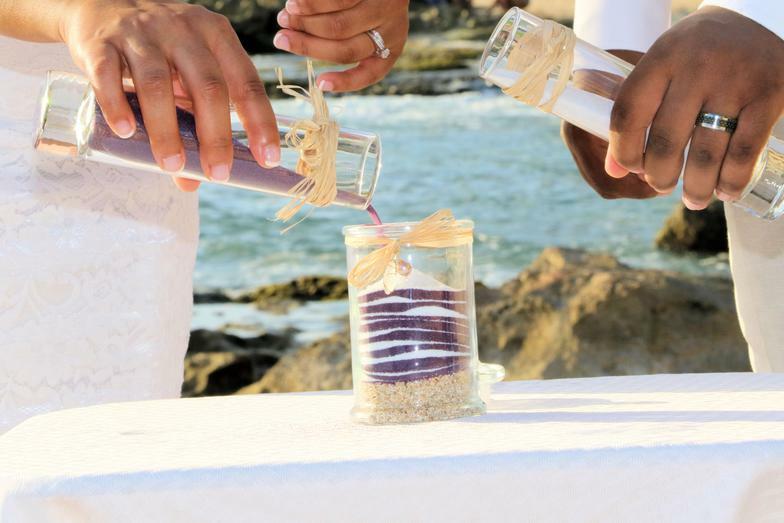 You will take home the jar of sand as a memory of your special day. 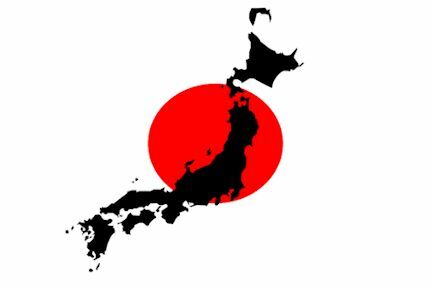 Travel fee of $40.00 is also waived. This is another popular addition which will enhance your wedding experience. 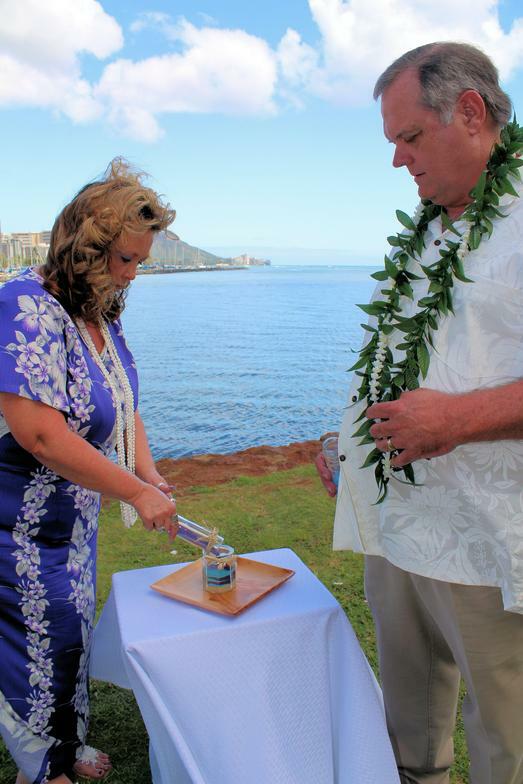 Right after the ring exchange, I will say a brief statement about the lei's, and then the bride & groom will place lei's on each other. 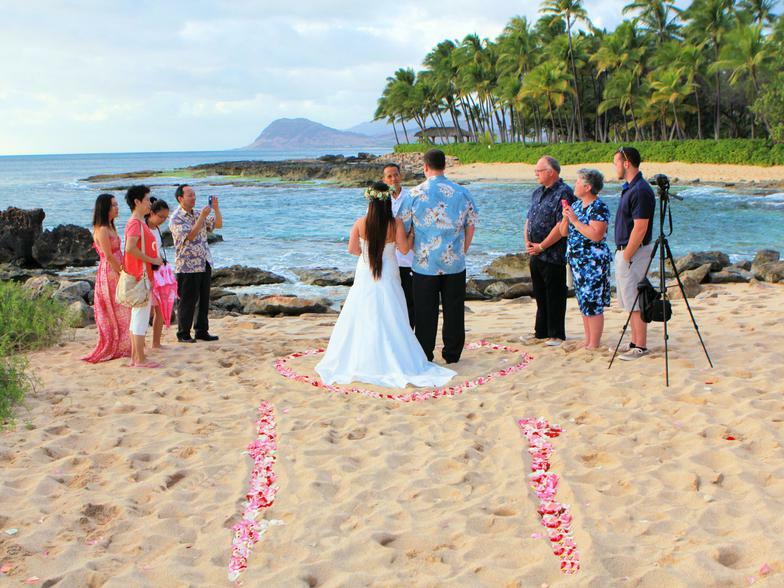 The bride & groom may also place lei's upon their family members after the wedding ceremony. Please see Bouquet & lei's page to view the lei's. 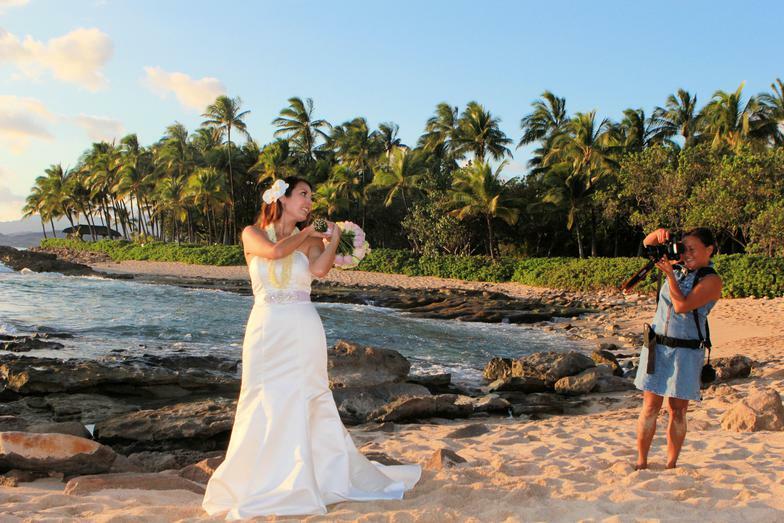 Ukulele music brings an extra romantic touch to the wedding ceremony. A song is sung in the beginning, middle, and ending of the ceremony. 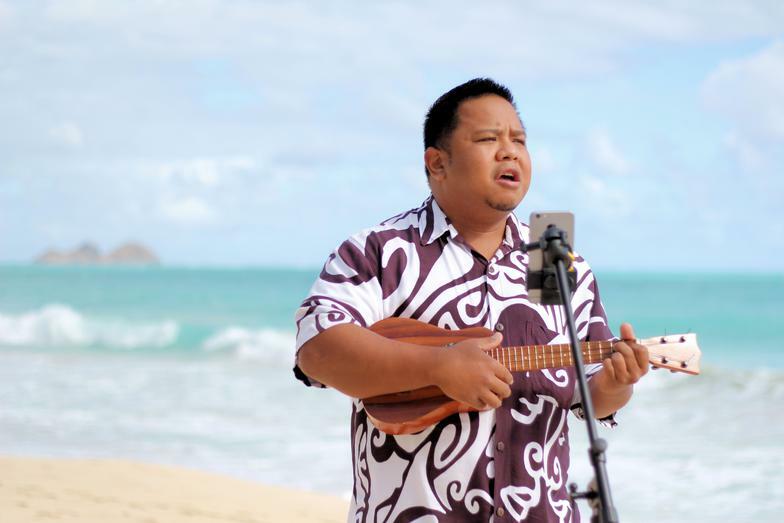 The ukulele will be strummed through out the ceremony. Pricing depends on location, starting from $135. 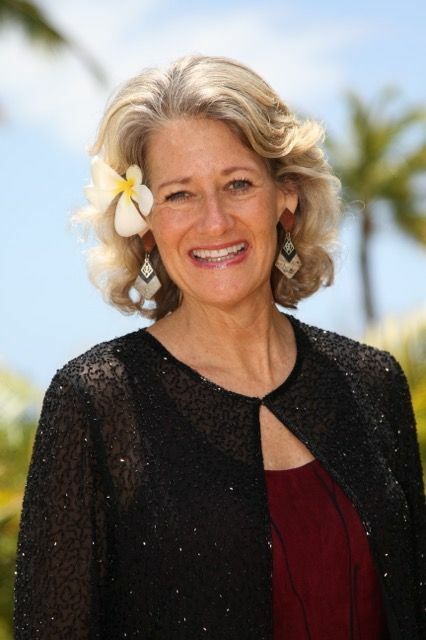 I have collaborated with Princeton Simeona, owner of Euangelizo Films, LLC. to provide beautiful wedding videos. Princeton mostly works with high end wedding companies. Because we have a great relationship, he has offered my clients affordable pricing starting from only $300. There are several video packages to choose from, so please contact me for more information.